Everything we do impacts the environment. From driving to work, to how and what you recycle, being a ‘Green’ business, and ensuring you have eco-friendly office has become more important than ever. 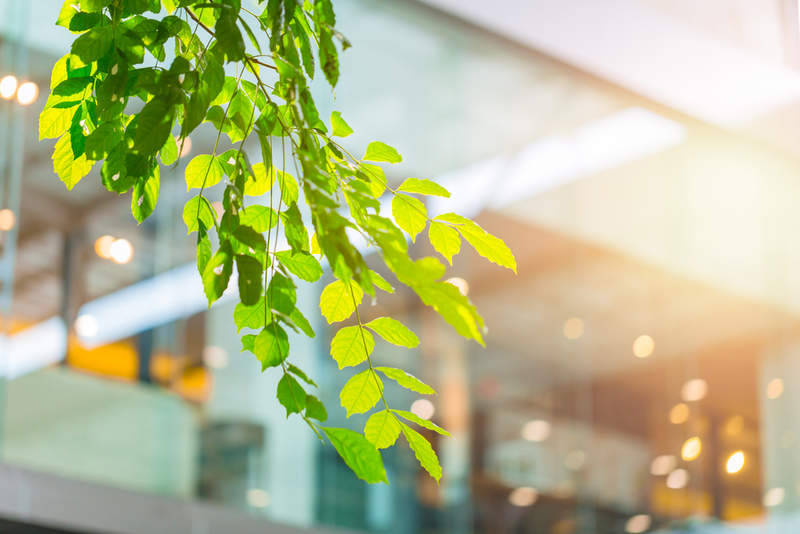 However, an eco-friendly office doesn’t just give you the peace of mind that you’re making a conscious effort to lower your environmental impact; it can also make your employees happy. In fact, 72% of UK workers say that having an eco-friendly office is important to them. As Steve Pritchard, Founder of Cuuver.com, explains: “There is now more interest than ever on how we impact on the environment, especially for staff working in offices that use electricity all day long. As a result, employers now need to be more mindful when choosing an office space. “The more sustainable the workplace, the more productive the employee is, as it proves the employer has considered the impact it has both on the environment and their staff’s beliefs or outlooks regarding this subject. 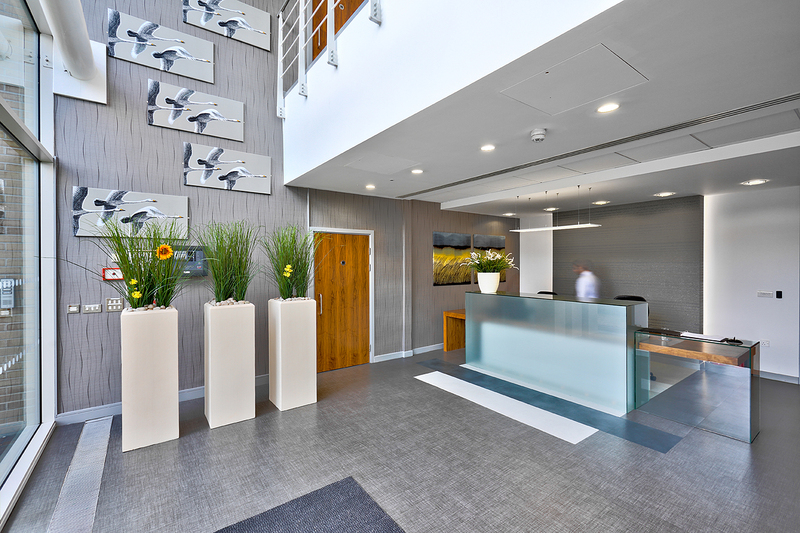 “An environmentally friendly office is a great way of showing your staff and customers that you are a responsible business and practice what you preach. Recycling, minimising wastage and caring for the environment is part of a productive work environment. From working with lots of office based businesses – we at www.waster.com.au find that staff are more engaged and productive when their business makes an environmental commitment. “Considering we spend about a fifth of our lifetime at work, it’s worthwhile thinking about how we can make our workplace better both for ourselves and the environment. “Sustainability in the workplace is much more than using energy-saving bulbs and recycling — it’s an holistic approach to creating a general wellbeing in a workplace that cares for both people and the environment. “We retrofitted 20 buildings (mainly in Melbourne, but several in regional areas), to upgrade lighting, and pumps and motors for heating and air con. We also installed solar in some cases, and made other changes! “As a result of the program, energy bills were cut by 29% on average for businesses, and the payback period was just three years. Significantly, staff reported greater comfort levels and fewer hot and cold spots in office areas. There were also fewer complaints, which is great news for company, tenant and building managers. Odette Barry is the founder of Odette and Co, a PR and marketing agency based in the Northern River. NSW is passionate about sustaining an eco-friendly office space, and with not a printer in sight, loads of greenery, and a team of experts that all work from home to reduce pollution, this is one company making positive changes. Odette believes that adding some organic character to your space doesn’t just create a beautiful focal point; it can improve air quality, remove impurities, and create a more relaxed energy. For those of us that don’t know where to begin, Odette recommends introducing some succulents as they don’t require much water and grow quickly. According to Energy Trust, turning off unneeded lights could remove 171kg of CO2 emissions from the air each year. So, it goes without saying; switch off the lights when a room in your building isn’t in use, or go one step further by installing lighting systems that automatically turn on and off as needed. Your office should also switch to LED bulbs as these use 90% less energy than traditional halogen ones. Another advantage of LED bulbs is that they’ve been shown to last approximately 20 times longer than traditional light bulbs. This means that not only will you reduce your office’s carbon emissions (which raises the temperature of our planet and affects sea creatures by making our oceans more acidic), but your business can save money by replacing your bulbs less often. “At the end of every day, make sure to go around and switch everything in the office off. If there are days when no one is in the office, then have a ‘switch-off checklist’. Plants are a great addition to any office because they reduce CO2 and carbon monoxide levels, as well as remove bacteria, mould, and everyday toxins from computer equipment from the air. High levels of these aren’t just bad for the environment; they can also make your workforce feel unwell by causing a range of unpleasant symptoms. These can include headaches, dizziness, coughing, dry eyes, a runny nose, and a sore throat. “Office workers should take note of NASA’s research into why plants are vital for offices, and in fact every indoor environment. Back in 1989, the Space Agency discovered that toxins in the air (in their sealed space stations) could be ‘cleaned’ by having plants inside; one plant to every 110 sq feet. Although it might not be obvious, even the cleanest work environments have polluted air from toxins and Volatile Organic Compounds (VOCs), including traffic dust, and the chemicals in household cleaning products and domestic and commercial furnishings. Another advantage of office plants is that they boost productivity by making you happy. According to a study, bringing plants into the workplace can reduce feelings of tension and anxiety by around 37%, anger and hostility by 44%, and fatigue by 38%. All of these feelings can have a negative effect on your staff’s morale and productivity levels. Jacqui King from Kokedama by Jac, adds: “Don’t underestimate the power of green. Adding greenery to an office area has health benefits, removes toxins from the air, adds colour and provides an overall happy, calming feeling to workers and clients, assisting work productivity and welcoming clients into the space. “To achieve this, [op plants into ceramic pots or baskets. No spare floor space or desk space? No problem. Kokedama (Japanese for ‘mossball’) is the solution. Display this on vertical stands, or alternatively, it can be suspended. Kokedama are the perfect plant decor for any office; it’s unique and interesting with a point of difference to an office space. Every time you print a document, the need for paper increases, and more and more trees are cut down as result. This leads to deforestation, which is very bad news for the environment as we need trees to absorb CO2 and provide habitats for wildlife. Not only that, but frequently using the printer contributes to your business using more energy (which increases your carbon footprint), and also costs your business as ink and paper will need to be replaced more frequently. Therefore, you should be encouraging your staff to print less, and one effective way to do this is by using an ID based print management system, which ensures documents are only printed when you’re at a printer. Alternatively, Follow Me Printing uses your location to find the most suitable printer, which reduces uncollected printed waste. “Office equipment has become more energy efficient since 2001, but energy costs have increased. 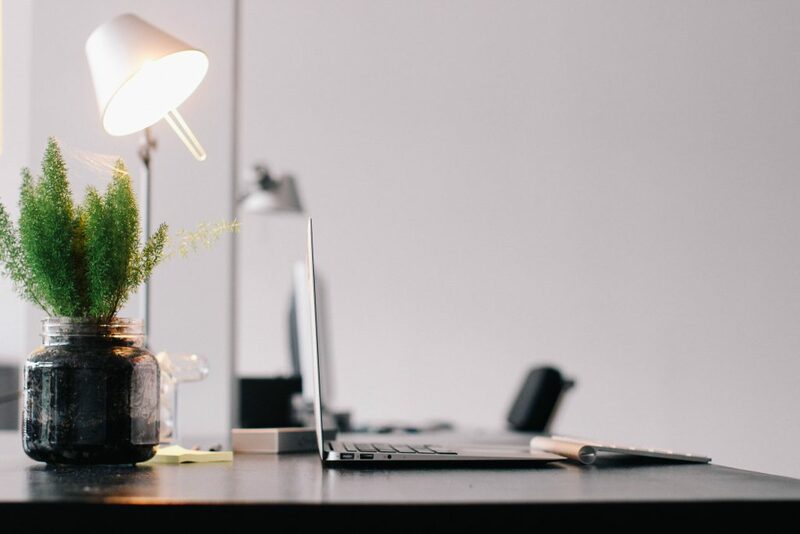 Turning off your office equipment when not in use will save you money, as well as reduce your ecological footprint and greenhouse gas emissions. “I run my company completely paperless. Everyone who joins gets a notebook, but we don’t print any documents or have paper lying around the office. All contracts are signed online and emailed back, and we use whiteboards for notes and track our work online. 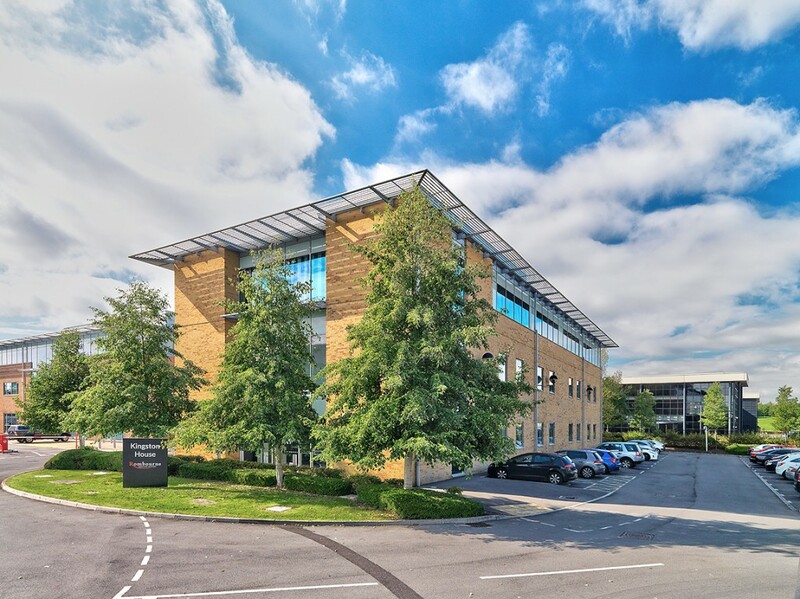 Our head office is also within a new shared workspace (UOS Wynyard) which is eco-friendly. Therefore, we feel we’re doing our part to minimise our footprint. Recycling waste (such as food, plastic, and paper) instead of throwing it in the bin doesn’t just reduce the amount of harmful greenhouse gases being produced as an effect of degradation. In fact, it’s also been proven that producing recycled products uses less energy than those that have been constructed from new materials. As an employer, you should encourage your workers to recycle more by providing the correct facilities for them to do so. This means ensuring that your eco-friendly office has recycling bins in your kitchen or breakout area, and that these are clearly labelled with the materials that need to be placed in each bin. It’s simple, really; by making the task of recycling easier, more of your staff will do it! “Even something as minor as a waste challenge can quickly turn an office into a more sustainable workplace. As an example, staff that were challenged to reduce office waste which in a matter of 3 weeks saw waste fall by 80% through the easy elimination of unnecessary packaging, and the support of a team pushing and challenging each other. “At Lána we have three bins; waste, recycling, and a food compost bin. We educate all new employees on what goes into each bin, and our bins are also different sizes. 27% of 2015 greenhouse gas emissions were from burning fossil fuels, such as those used for cars and trains. 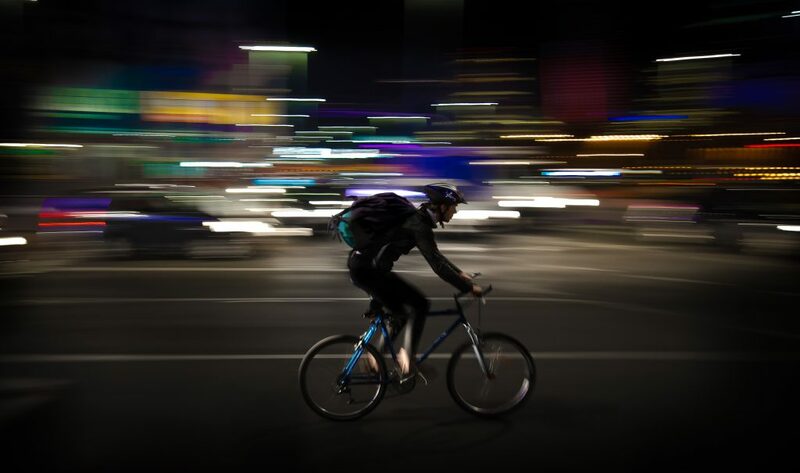 To get your workforce walking, running, or cycling to work instead, ensure your building has an on-site shower for them to freshen up before they sit down at their desks, and that there’s somewhere onsite for them to securely store their bikes. If it’s not feasible for every one of your employees to walk, run or cycle to work, another option is for them to reduce the amount of car journeys being made to the office each day by using public transport or sharing lifts with other employees who live in the same area (a.k.a. carpooling). This not only helps the environment, but it can also help your workers to bond and form better relationships.